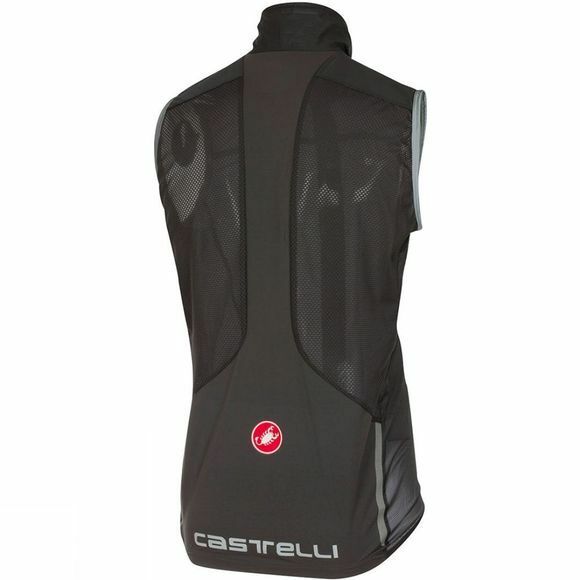 The men's Superleggera Vest by Castelli is extremely breathable, lightweight and windproof all in one. The low air permeability of the Pertex® Quantum base fabric is designed to keep you dry on all your rides, whilst the Stretch Torrent fabric insert at the back is waterproof. 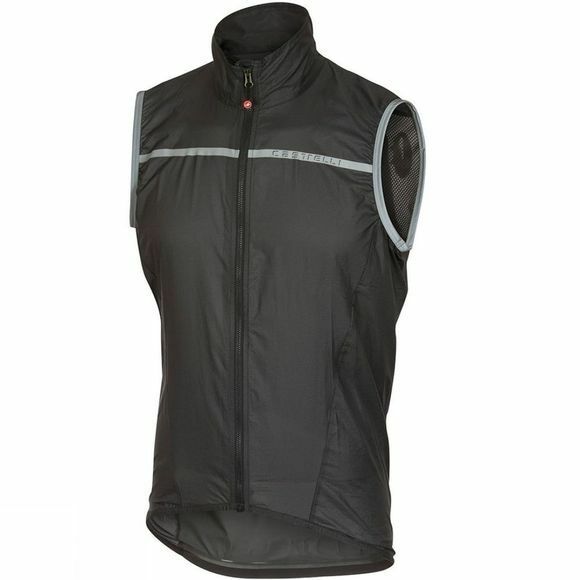 Packing down small and weighing just 77g, the Supperleggera Vest also offers front and rear reflectivity and a YKK® Vislon zipper.